& Anaheim Hills plus those in between! 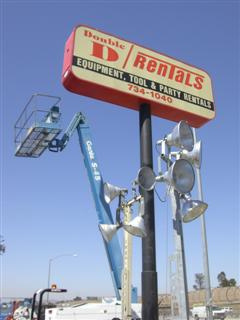 Double D Rentals is still owned and operated by the Dahl Family and now has three generations of the family working at the company. Their entire staff is well trained. They are all ready and willing to help all of its long time as well as new customers find a solution to their particular job or event. Stop by and let us help you plan your next project or event; we always have the coffee on for our customers in the Inland Empire!